Wanting to travel to Australian Capital Territory? Canberra is the premium spot to stay and this apartment will give you the perfect place to stay. 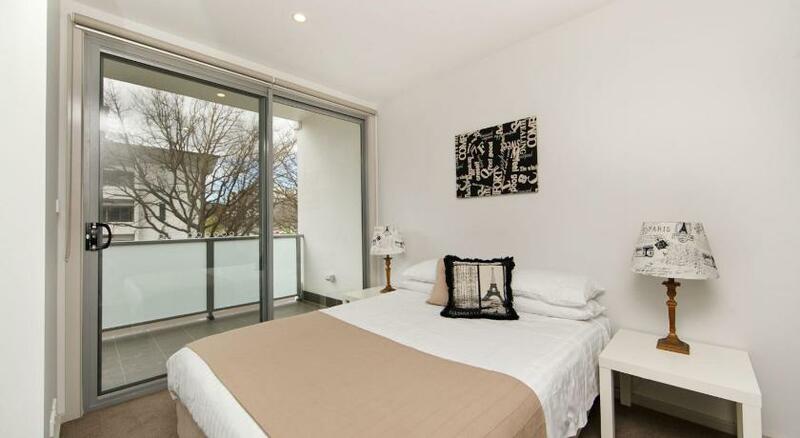 Apartment Canberra Furnished Accom is sensible accommodation that is the perfect for your accommodation needs. Set in various locations around central Canberra, Canberra Furnished Accommodation offers self-contained studios and apartments. All accommodation boasts a balcony or a patio, and some offer access to a swimming pool, gym and BBQ facilities. All Canberra Furnished Accommodation locations are within a 7-min drive of Lake Burley Griffin and a 10-min drive from New Parliament House. All are within a 13-min drive of the Royal Canberra Golf Club. All properties offers a kitchen with a stove, microwave, fridge and coffee machine. They have outdoor furniture, ironing facilities, hair dryers and most offer laundry facilities. All executive apartments offer secure underground parking, and budget accommodation offers undercover parking. This property has been online since Jan 7, 2014.